By now, you have heard that the Boy Scouts of America has lifted its ban on employment and volunteer registration of openly gay individuals. 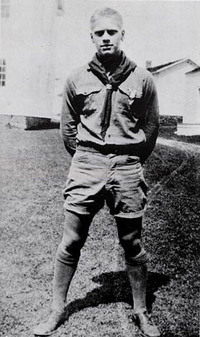 The executive board followed the lead of BSA president Dr. Robert Gates, who in May told the national meeting that it was time for the BSA to deal with “the world as it is, not as we might wish it to be.” His remarks and the board’s action have met with surprisingly widespread approval from those inside the movement as well as the general population. As our society comes around to a mode of inclusion, the welcoming attitude towards the idea is really no surprise. The fly in the ointment, however, in the policy change is that chartered organizations would still be allowed to select leaders by any criteria as they see fit, including denying LGBT individuals registration in their units. Part of the reason for this is that the BSA or its councils don’t “own” Scouting units, but rather grant charters to individual organizations to operate them. Unless this structure changes, there’s likely to be pushback against anything that goes farther than this. It’s a balancing act between slowing membership loss and alienating chartered organizations – in particular large faith-based groups with strict views on the subject – without which we wouldn’t have a good chunk of our membership in the first place. But now that the first G seems to have fallen, how about the other two? For as long as I’ve been involved in Scouting, the elephant in the room has been the three Gs: gays, girls, and God. There are Scouters who would sooner turn in their uniforms than allow girls into our packs and troops (despite that girls and young women are welcome in Venturing, Exploring and Sea Scouting). Many, though, see including girls as one of the ways to stanch the loss in membership and make the program more attractive to families – and to the boys as well. Besides immediately doubling the numbers of total available youth, having co-educational packs and troops would bring Scouting in the United States in line with the way it’s done in pretty much every other country in the world. (To see how it’s done close to home, check out Scouts Canada’s programs.) The BSA hinted at this in pillar 1 of the 2011 strategic plan, where it calls for increasing market share by the inclusion of underserved groups including minorities and women, and refers to “Scouting’s future membership” including diversity of gender and ethnicity. While there haven’t been any credible actions toward having girls as Cub Scouts, it’s hard to believe that such a move isn’t inevitable – possibly up to and including a merger with GSUSA (itself struggling with membership loss), thus forming something like Scouting USA. The fall of the third G – Duty to God – would fundamentally shake the Boy Scouts of America to its core, if for no other reason than the majority of chartered organizations are faith-based. But, just as the vast majority of members are not LGBT, it’s not impossible to conceive of a future where the meaning of A Scout is Reverent morphs from an orthodox belief in a higher power and more into the humanitarian principles that most religious organizations ascribe to. (Indeed, Baden-Powell, while espousing Christianity, emphasized that a boy’s faith should encompass his everyday life and dealings and not be limited to going to church on Sundays.) This would necessitate a global change, owing to the fact that both the World Organization of the Scouting Movement and the World Association of Girl Guides and Girl Scouts require their member organizations to include duty to God in their fundamental principles. Now that Dr. Gates’ recommendations are seemingly a done deal, his statement adds substantial weight to the argument that the Boy Scouts of America should not stand for exclusion and discrimination in areas not core to our mission and aims. Who is willing to speculate on these or any other potential shifts? What would be their affect on you personally? It’s time to start thinking about what our service would be like in the BSA of the future. First the flag you posted is totally disgusting. Second and third the second two “G’s” are grossly disgusting. If you defeat the second two “G’s” why have a BSA organization? Let’s just dissolve BSA and have an organization where anything goes. The Girls Scouts promote “Pro Choice” as well as many other liberal ideologies. I have another ideal. Lets replace the Eagle award with the Rainbow award. I am totally disheartened by your post. We can be Reverent without requiring belief in God. Locally, we have a very successful troop chartered by a Buddhist temple. Buddhism does not include a god of any sort. They have fact sheets to help leaders understand different religious communities. Here are the ones for Hindu and Rastafari. It really is not that hard to include all faiths. Virtually every faith/religion has been covered by a religious emblem. It has been that way ever since I have been involved with scouting since the mid 1970’s. I’m sure even before that. It has always been my understanding the scout should have some understanding of a higher power. So I guess we can’t offend the Atheist. At this pace BSA will not last more the 25 years. When anyone with a great deal of privilege has that privilege pointed out to them they feel oppressed, and get angry because the fear something is going to be taken from them, or that they may have to share that privilege. The BSA will lose people over this decision, and that’s fine by me. If you can’t share, and the only thing you have in response is name calling I’d rather you weren’t anywhere around Scouts or young people in general.